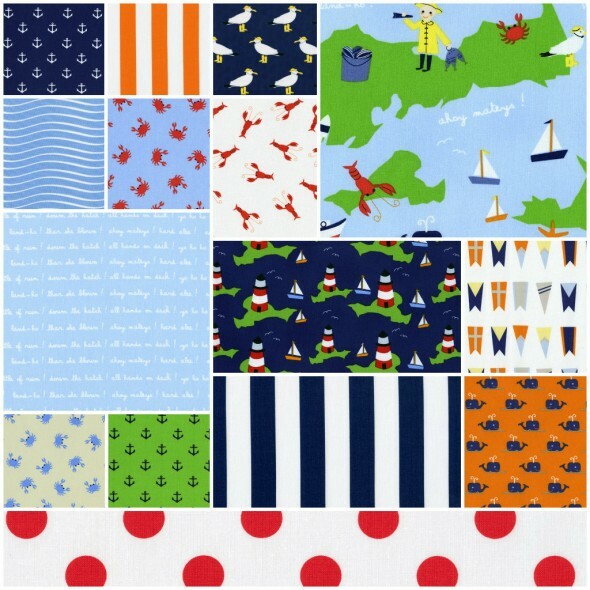 I kind of decided that the beach quilt I made last year is really more of a park quilt. The laminated back is great for wet grass, but less ideal for dry sand. It slides around. However, the giant size and quiltiness of it are, I still maintain, perfect for family beach time. 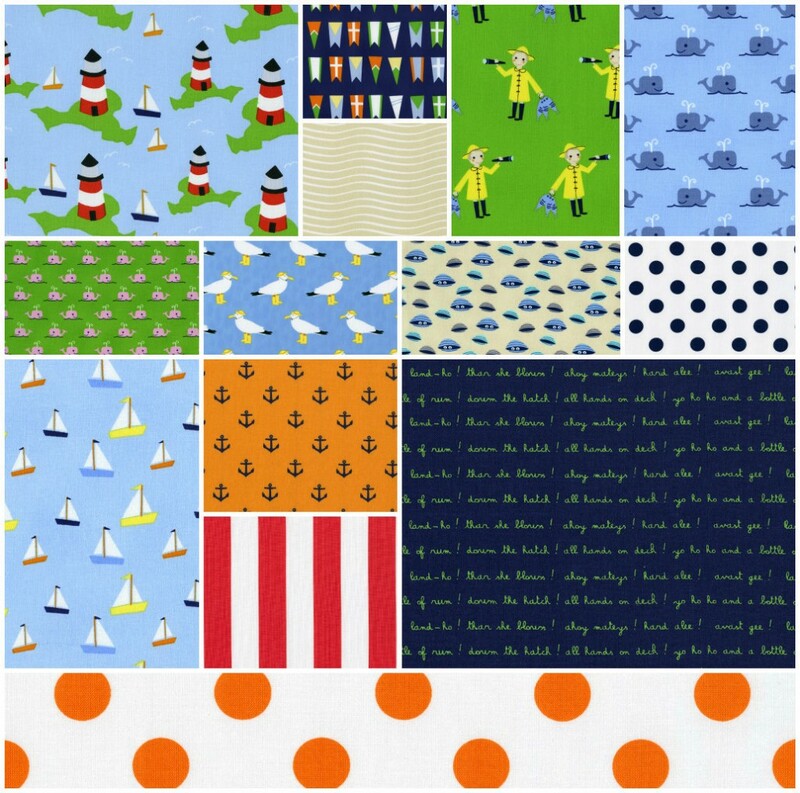 So, I’m using some of these prints from Dear Stella’s All Hands on Deck collection to make a new one this year. I picked up most of the prints during our spring break road trip through New England and then ordered more to make sure I had enough. My plan is that this quilt will be 72″ square. It will be all strips, divided into 4 columns. 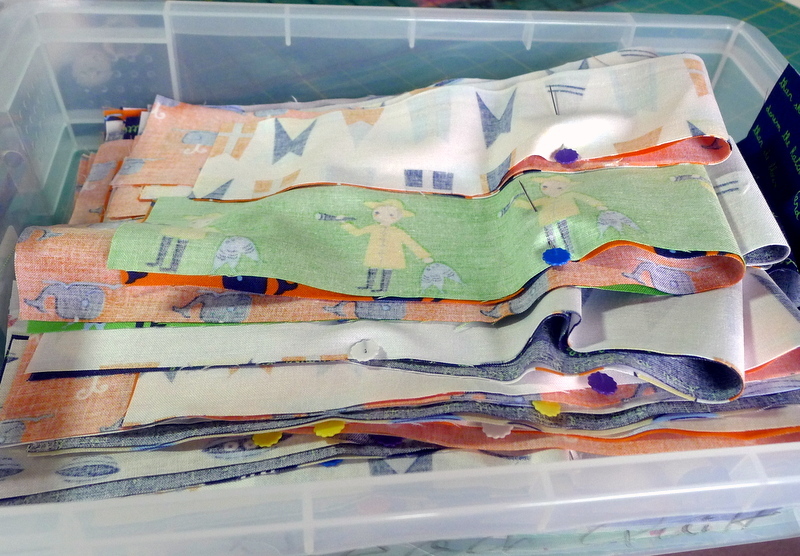 I cut up about 21 fat quarters worth of fabric to make 144 strips that were 18.5″ x 2.5″. 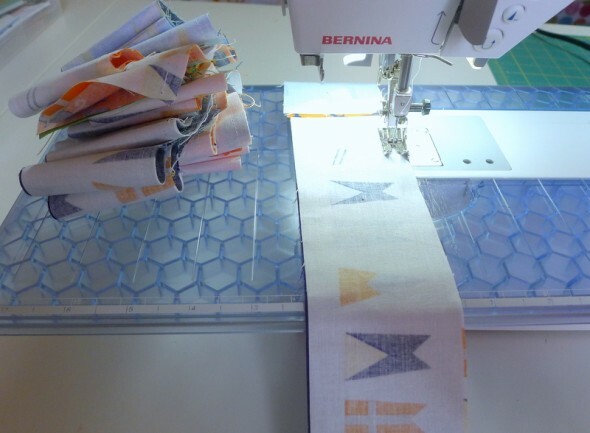 So when the top is finished that will come out as 4 columns each made up of 36 strips that are 18″ x 2″ when sewn. Some of the fabric was actual yardage cut up, but that gives you a rough idea of how much you need. Every fat quarter yielded about 7 strips, so after I went through the fat quarter yardage I’d bought I started in on the half yards I had (which yielded about 14 strips each). I divided the strips into “light” and “dark/bright” piles, then I spent time pinning lights and darks to each other. Then I chain pieced the 72 pairs together. They have all been ironed with seams facing the same direction, and I have pinned those 72 pairs together again to make 36 sets of 4 strips. And I’ll go on and on that way until my columns are ready and can be joined. It’s coming together pretty quickly.